Anyhoo. 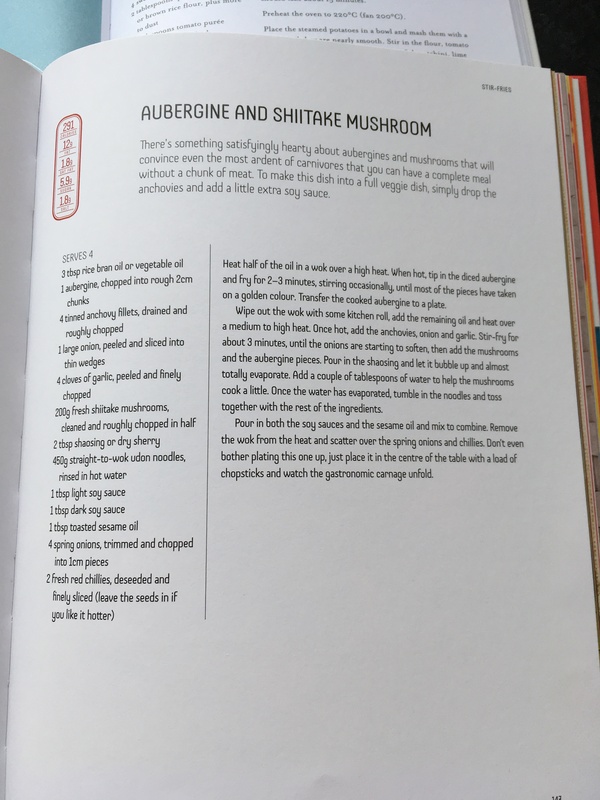 I had most of the ingredients for this in my store cupboard, with a few substitutions, so off I went! 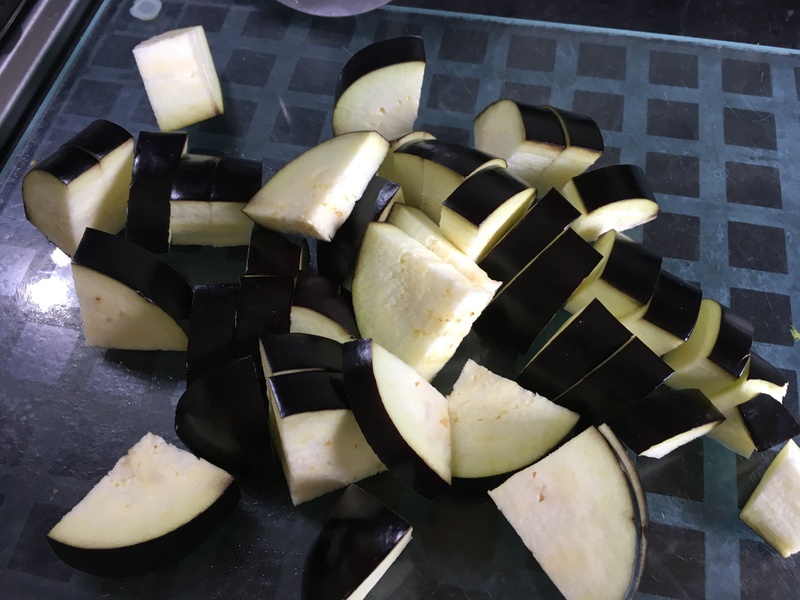 Chop the aubergine into cubes. 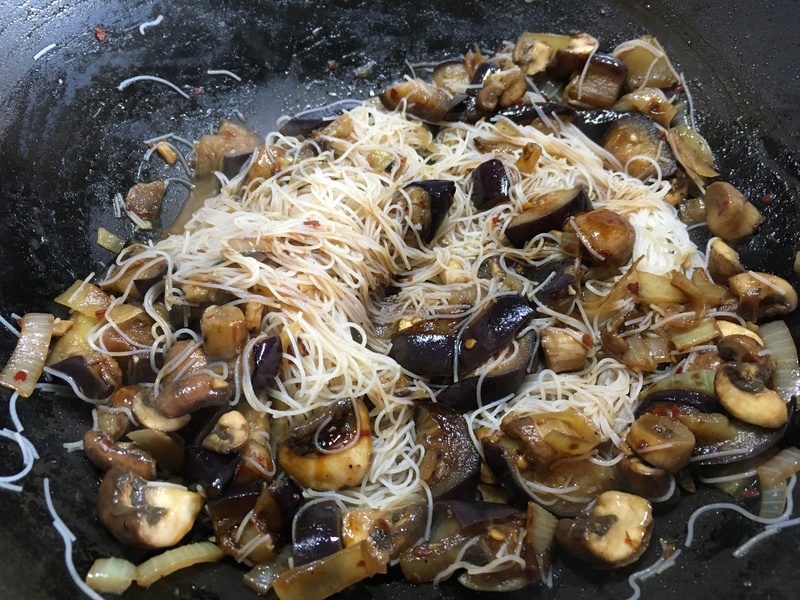 Cook in a wok with a splash of oil. I like to add a lid so that it steams a bit, and reduces the acrid smell and smoke-alarm-setting-off factor. I added a swish of sesame oil as they were almost done for added flavour. 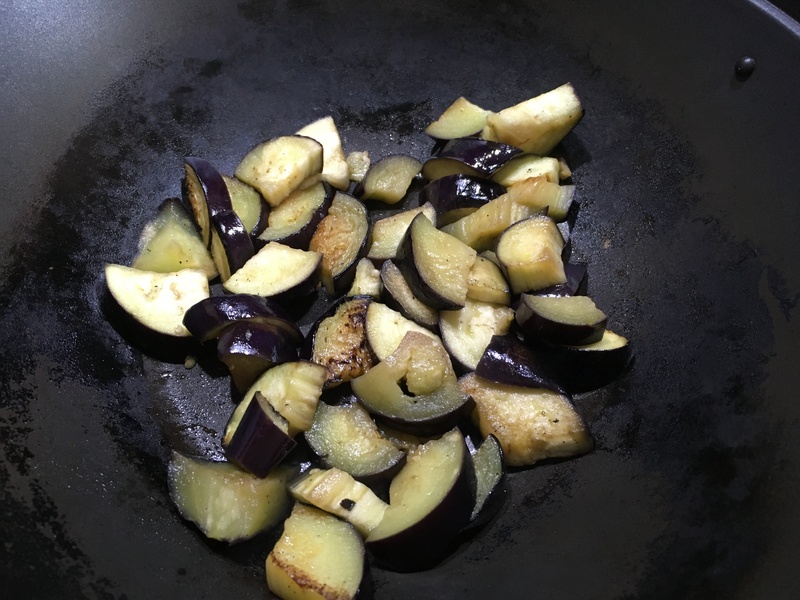 Remove the aubergines, and add a chopped onion to the wok (half an onion for me). 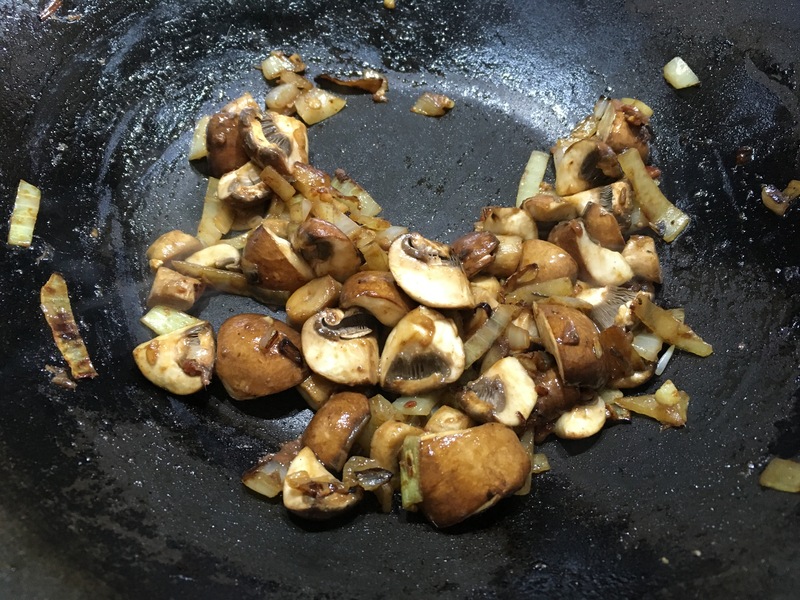 Add some chopped mushrooms. And 4 chopped anchovies. 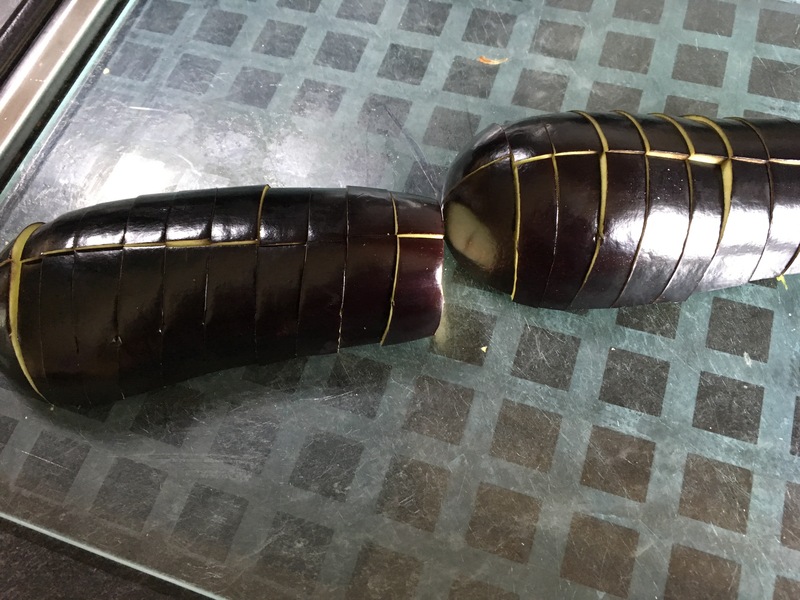 For vegetarians, you could leave these out. For veganishes who eat a bit of fish for environmental and health reasons, woohoo! 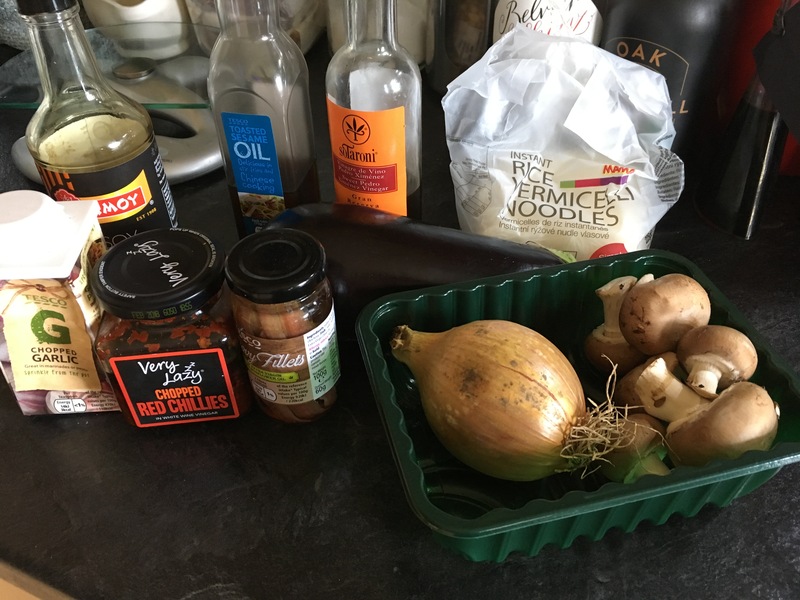 And a chopped chilli (I used a spoonful from my jar of chopped chillies – it’s easier to control the heat with this method). At this stage, the recipe wanted me to add a ton of straight to wok noodles. 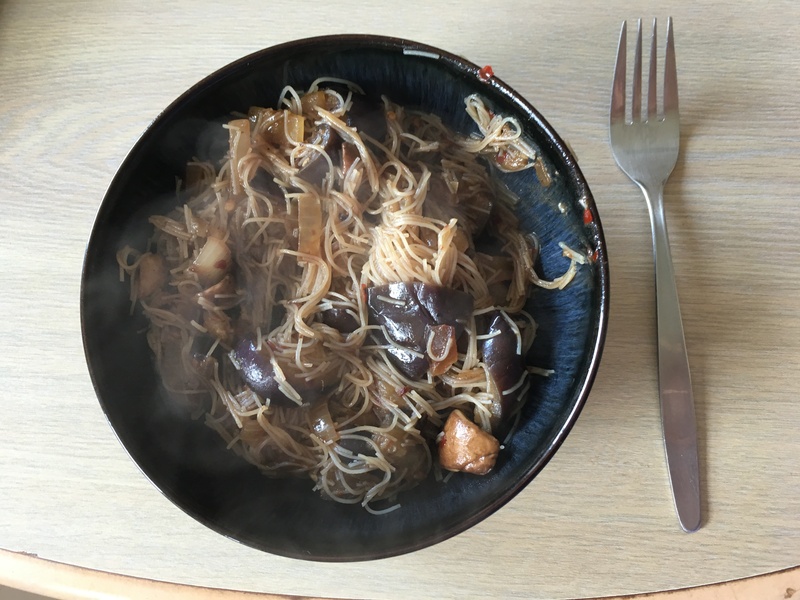 I like the rice vermicelli ones, so I’d softened one nest of those, and added it. Visually, it’s a bit brown, but it was darn tasty and I’ll be doing variations of this again.